The Mason Computer Game Design Program is hosting an open house for interested students onOctober 6.Register now, as space is limited! MGTA's Fall Classes are open! StartingSaturday October 6, MGTA fall classes will begin, includingPython II, Digital Art II,andRoblox: Let's Make an Obby! 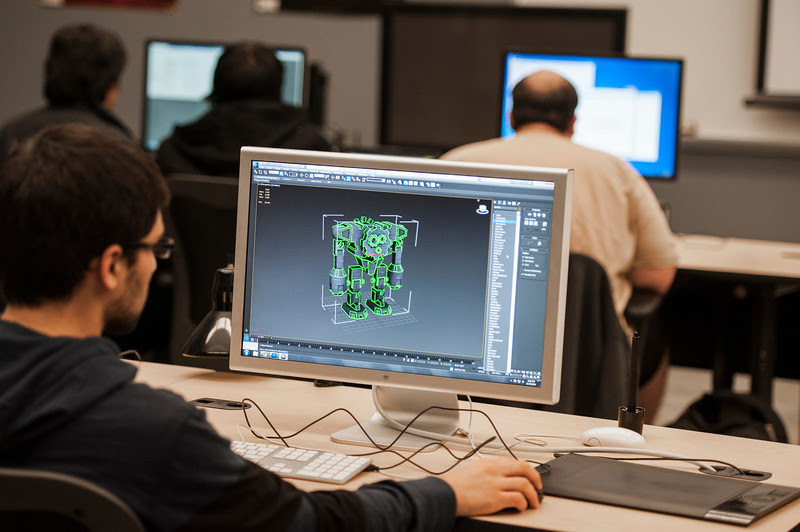 We are also excited to announce our newadult enrichment class:Introduction to Game Design. In this new hands-on class, you can learn more about the entertainment and serious game industry, and of course, learn how to make your very own game. We are celebrating local alliances that help regional entrepreneurs. 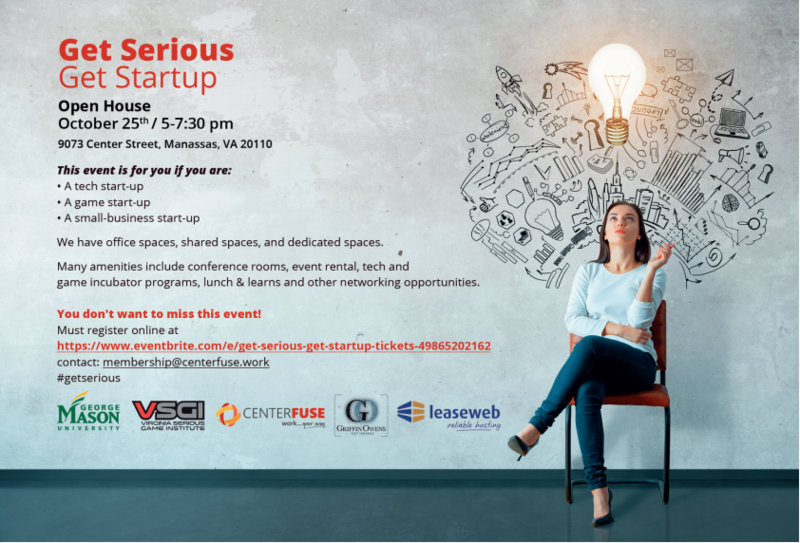 CENTERFUSE, George Mason University, Virginia Serious Game Institute (VSGI), Griffin Owens, and Leaseweb have partnered to bring workspace and incubator opportunities to entrepreneurs. Join usThursday, October 25th from 5 to 7pmat9071 Center Streetin Manassas. The world’s largest gaming company, Tencent Games, has made a generous partnership gift to the Virginia Serious Games Institute at George Mason University. This support includes scholarships for both undergraduate and graduate students. Congratulations to this year’s 24 undergraduate scholarship recipients:Amber Harlow, Nathan Garner, Jake Durborow, Aidan Tamke, Julie Demyanovich, Kevin Ryan, Sergio Conti, Allison Terry, Ian Elquiero, Joshua Frezzel, Katja Swann, Oliver Steenman, David Baptiste, Sterling Stokes, Nicolo Allado, Eric Briggs, Christopher Otey, Evan Spytek, Andrew Kasinski, Ryan Lindsay, Bryante Craig, Andrew Jordan, Seth Usher, and Marquis Fuller! Tencent, in partnership with Indienova (an indie game organization in China), is sponsoring a serious game developer contest in Shenzhen, China this coming October. This week-long competition will last fromOctober 31 to November 6. Developers from different companies and organizations across the world will be divided into competing teams. Each team will have seven days to make a serious game prototype. Orin Adcox, a Mason Game Design Program graduate student at the VSGI, has been selected to participate in this exciting opportunity. To advance the learning outcomes of United States Air Force students, Air University has commissioned C2 and George Mason University's Virginia Serious Game Instituteto produce a white paper to determine if embedding Mixed Reality into the rigorous eSchool experience will successfully increase learning outcomes and the success of their students. Learn more about the VSGI's applied research by clicking below. The VSGI and its research projects have been featured in Mason's alumni magazine,Spirit. Their article outlines some of the cutting edge applied research happening at the VSGI.